In recent years, digital marketing has been directly affecting the statements, concepts and ideas that fashion dictates. Companies like Nike, TopShop, Dior, Victoria Secret, Gap, Calvin Klein, Adidas and Gucci might stand as a good example of the use of e-commerce in terms of attracting and gaining new customers (Behl, 2019). However, sometimes the critical aspect is to not only attract new customers but also to keep the existing ones. Consumer retention is a set of actions and activities the company take to decrease the amount of customer defections and is often reached by increasing customer loyalty and brand loyalty initiatives (Galetto, 2019). According to Sasser and Reichheld (1990), the final goal of marketing is to increase brand loyalty, therefore, some steps of implementing a retention strategy will be proposed. However, once brand loyalty increased it can financially benefit to the company in terms of lower marketing, transaction, turnover and failure costs and also make a company competitor resistant and less price sensitive (Turban et al., 2012). So, the first step is to understand why you are losing customers. One way to find out the reason is through customer surveys (customer feedback). For example, once an existing user decides to shut down an account for any reason, it might be a smart idea to create a survey or a feedback form asking for that reason, whereas it is still “fresh”. You can create a needed survey by clicking: https://www.surveymonkey.co.uk/mp/improve-customer-loyalty-retention/ as well as simply learn about the options and prices. It is a fast and cost-effective way to collect any type of data from a bigger audience. Nevertheless, the information can be sometimes hard to interpret, and some customers may feel it is not important, thus will provide irrelevant answers. Survey results will be available on the website at any time for a firm. Another way is by sending a direct email to the lost customer, yet the response rate might be not as high. Chaffey (2001) claims it is cheaper than direct marketing and can employ such techniques as: acquisition, conversion, retention, brand-building, research, viral and service delivery tools. Next step is to improve the experience of your customers. According to Walker report, customer experience will become a key brand differentiator by 2020 and will overcome product and cost (Walker, 2019). On average, 68% of customers leave due to unpleasant experience and only 14% because of the problem with a product or service (Patel, 2019). Thus, to make the experience better it is not only important to listen to what customers say through surveys, but also to treat them in a unique, intimate manner. Most clothing and shoe brands have websites, where people can create an account in return for better service. This is an example from my mail box. 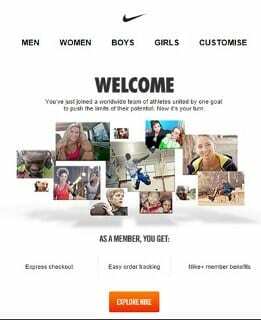 As it says, because I joined Nike by creating an account on their website, I will receive an express checkout, easier tracking and other Nike+ benefits, which include events and workout sessions etc. Plenty of other companies are implementing strategies as reward points, discounts for loyalty and seasonal gifts to improve customer experience. It is crucial to treat your customer good since the beginning of his customer-cycle and make it easy for them to stay with your company. Keeping your customer engaged and updated is essential for anyone seeking increase in brand and customer loyalty. 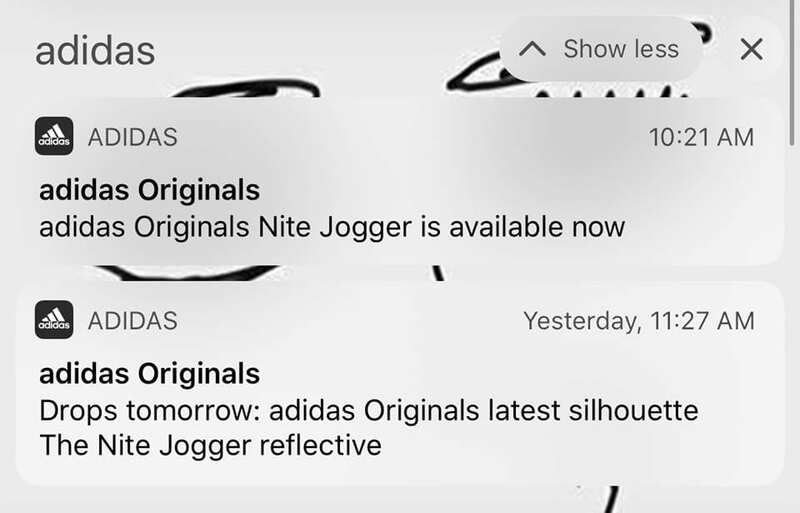 This is an example of the notifications I receive from Adidas app as a registered member. This way, customers can be aware of what is coming out on the market and feel special in treatment they receive. Despite all the benefits, settling brand loyalty programs like that might be costly, therefore you can simply send a” thank you” text for a purchase or create a social media community or a Facebook Group, which would be less expensive but would still show the concern. Among those approaches, live-chatting and customer support play significant role in keeping a customer. However, it is only effective if it is easy to measure for the company and easy to access for the consumer. Live-chats should provide a person with a fast, adequate and polite reply and customer support should be helpful and easy to find on the website/app. https://www.livechatinc.com/ ; https://www.liveperson.com By following those links more information about how to set up a good live chat for your business can be found. A negative aspect of using live chats might be the fact, that the response must be given the same moment and there is not time to think and come back later. Also, it is not always convenient to access chat boxes through mobile platforms. 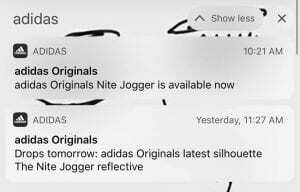 On the screenshot below in the bottom right corner an example of chat box can be seen. After all, it is important to be able to track the performance of your website or app and there are various tools that will help businesses collecting the information. Transaction logs can record user activity on the website in real-time and include: https://www.acxiom.com/ ; https://statcounter.com/ . The key for a successful customer retention strategy is to listen to what your customer has to say and fix it and good for us there are plenty of firms willing to help you run your business and satisfy your customers, as for example https://www.crazyegg.com/ is a website that aims to point out weak areas and suggest an improvement for them. Remember, it is better to spend a little bit more on “maintaining” than “inviting” and your customers will surprise you with loyalty and high satisfaction rate. Anon, (2019). [online] Available at: https://www.walkerinfo.com/Portals/0/Documents/Knowledge%20Center/Featured%20Reports/WALKER-Customers2020.pdf [Accessed 28 Feb. 2019]. Behl, S. (2019). Digital Marketing for Fashion Industry: The Ultimate Guide. [online] Digital Vidya. Available at: https://www.digitalvidya.com/blog/digital-marketing-for-fashion-industry-a-complete-guide/ [Accessed 28 Feb. 2019]. Chaffey, D. (2001). Total e-mail marketing. Galetto, M. (2019). What is Customer Retention? Definition and Metrics – NGDATA. [online] NGDATA. Available at: https://www.ngdata.com/what-is-customer-retention/ [Accessed 28 Feb. 2019]. Keller, C. (2019). 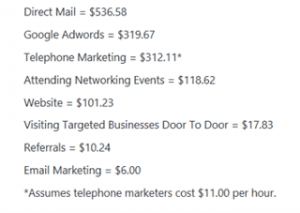 Average Cost Per Customer by Marketing Method. [online] Profitworks.ca. Available at: https://profitworks.ca/blog/244-Average-Cost-Per-Customer [Accessed 28 Feb. 2019]. Patel, N. (2019). Customer Retention Statistics. [online] Neil Patel. Available at: https://neilpatel.com/blog/retaining-customers/ [Accessed 28 Feb. 2019]. Reichheld, F. and Sasser, E. (1990). Zero Defections: Quality Comes to Services. Harvard Business Review. [online] Available at: https://hbr.org/1990/09/zero-defections-quality-comes-to-services [Accessed 28 Feb. 2019]. Turban, E., King, D., Lee, J., Liang, T., Turban, D. and Lang, J. (2012). Electronic commerce 2012. 7th ed. Pearson Education, pp.434-435.